AfricaCom is back for its 21st year and will take place on November 13-15 at the Cape Town International Convention Centre in South Africa. All the major actors in African telecoms and technology will meet there, bringing together more than 14,000 attendees and 400 exhibitors from diverse industries like connectivity infrastructure, telecommunications, digital services, and more. Among the 450 speakers, you will find some of Africa’s most prominent digital thought-leaders coming together in Cape Town for this special event. In sum, it is a unique opportunity to network, establish new relationships, learn and do business. Collaborating with Keyrus, our partner expert in Data Management, Dassault Systèmes will be at the heart of the show alongside the biggest brands in the industry. Look for us in The Village! The telecoms industry is changing fast. The Digital Age is here. The competition is tough; telecoms and Internet are less and less distinct and technological innovations and new regulations constantly evolving. 5G is coming. It will be a multiyear journey but the foundations have already been laid. It will be the connective tissue for such new technologies as the Internet of Things (IoT) and autonomous vehicles. Indeed, these cars have been in the testing and development stages for several years and are now the focus of attention. The number of consumers interested in renting or hiring an autonomous vehicle increased by nearly 15 percent in the last year alone. 5G will be a critical element in the eventual mass-market adoption of autonomous vehicles. 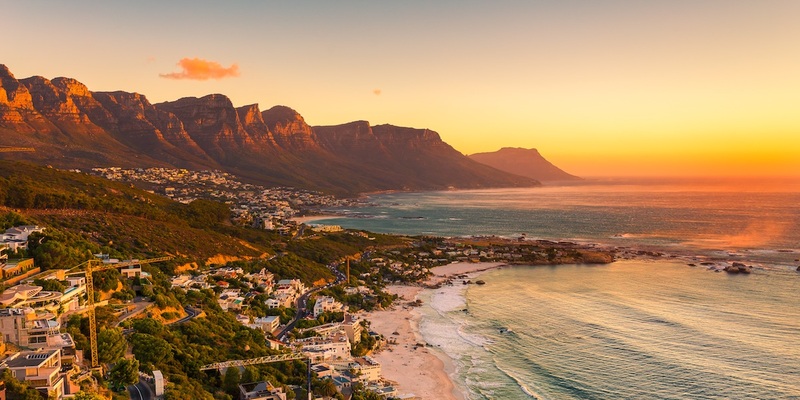 Looking at South Africa as an example for fiber connectivity: more than 40 companies have rolled out fiber services to homes and businesses. No doubt, the demand is here. Despite these developments around Cape Town, Johannesburg or Lagos for example, access to telecommunications in other parts of Africa is still very limited. Some countries have no reliable communications in rural and isolated areas. Internet access on the continent is limited, as is the quality of telecoms service in some regions. In Sub-Saharan Africa, mobile operators are facing some important challenges. The most significant one is probably data growth. Rising demand has made the volume of data increase dramatically, but data revenue is not rising as fast. It seems like mobile operators have not yet found the right data pricing solutions. On top of that, they need to invest more in order to meet ever-increasing data usage and have to provide customers with static or declining monthly bills. Then there are pricing issues. Price wars are terrible for actors in the telecoms industry in Sub-Saharan Africa. Operators are under permanent pressure. This is one of the biggest customer complaints across the continent. Companies must innovate to stand out in this field. Improving customer experience is another major challenge. Today it is easier than ever for users to jump from one operator to another. In order to keep their customers happy, companies need to be fully focused on improving individual customer experience. The key is to make customers feel unique and provide them with an incomparable experience that will help to generate more value and keep them loyal. Of course customer loyalty promises repeat purchases and upselling potential. “It can also drastically reduce the need for promotional activities and hence reduce costs while increasing profitability”, according to Simon Nicolas Morgan & Krishna K Govender in “Conceptualizing Loyalty in the South African Mobile Telecommunications Industry”. Another challenge that all operators face on a global scale is big data. How can they convert all this information into insights and actions? Many telecoms companies are overwhelmed by the volume of data and unable to extract value from this information. Finally, operators face the new context of the industry and the new behaviors of their users. They will need, at some point, to create new business models and identify rapid investment opportunities across the telecoms portfolio, allowing them to generate more value and remain profitable. A key opportunity for sure is IoT. The connected car is one of the best examples in this field; it is an important IoT growth area for carriers. Many telecoms carriers are also looking to enter the media space through M&A deals or partnerships. The objective: delivering content to any screen through wireless distribution. Another business representing a big potential is second-hand smartphones. Indeed, new smartphone prices do not stop increasing. Therefore, there is an opportunity for carriers and other businesses to capitalize on the growing value of second-hand smartphones, as well as the increasing volume that will enter this channel. Finally, the last nice investment opportunity in the telecoms industry is augmented and virtual reality. Both are still emerging but we already count 10 percent of consumers owning a VR headset, representing a relatively quick adoption curve, according to Deloitte. To allow operators to generate value and be profitable, Dassault Systèmes provides them with EXALEAD, a product that we will be happy to present at our lounge in The Village. It enables our customers to search, reveal and manage data for smarter decision-making in real time. One of the key areas of the EXALEAD portfolio is Customer Support & Service Analytics. Our solution OneCall provides carriers with a comprehensive, 360° view of their customers and brings together the tools they need to tailor sales recommendations and leverage internal collaboration. With access to the right data, agents can answer daily queries faster and provide the most accurate information. Interacting effectively with customers increases their overall satisfaction, and greater customer engagement leads to increased sales. In sum, we have the solutions, expertise and experience to help you succeed in this fast-changing, competitive and innovative industry and we look forward to meeting you in The Village at AfricaCom 2018! Frédéric Douphy is the worldwide sales manager for the Telecommunications Market at Dassault Systèmes - EXALEAD. A New Exalead Interface for the iPhone and iPod Touch!